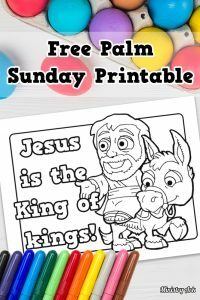 The ‘King of kings’ Printable Coloring Sheet is a fun sheet for children to color. Why? Because the design created by freechristianillustrations.com is just brilliant! 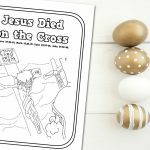 Kids will love learning about how Jesus rode into town on a donkey. They will learn about how he was prophesied to be king. 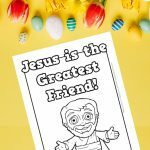 Your kids will be excited to hear about how the people treated Jesus as a king. But how will they find out from coloring? Coloring is one of the best ways to keep children engaged as you discuss questions with them. Many kids love to be doing something while an adult talks. However, they also love to be engaged in questions. Children appreciate it when their voice is heard. So why not ask them questions as they color? 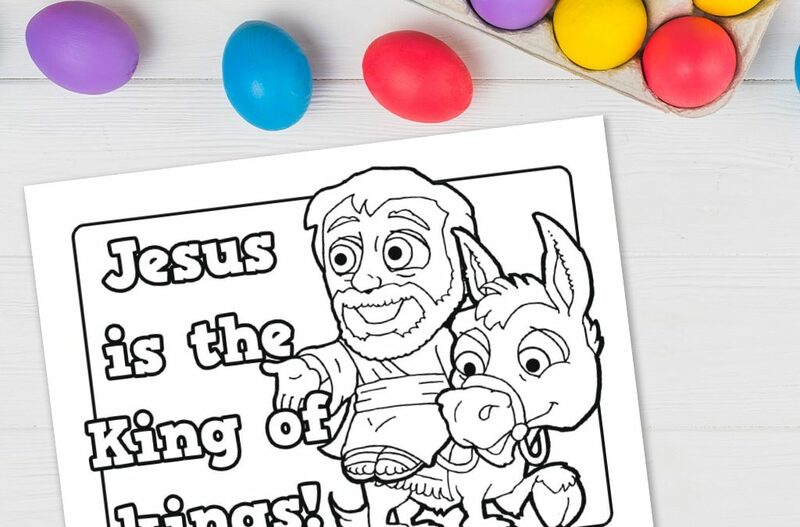 How did Jesus know where to find the donkey? Who welcomed Jesus and how did they welcome him? What was the Festival called that Jesus and his disciples attended? If you were Jesus, what would you ride into Jerusalem on? 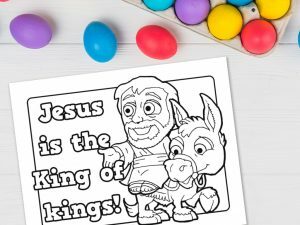 Why is Jesus known as the ‘King of kings’? 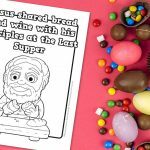 Coloring sheets are also a really relaxing way for children to enjoy some down time. It could be that they build relationships whilst coloring as they discuss these topics and more. Don’t be afraid to use them in your session, but always have a purpose for using them! 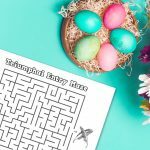 If you are looking for more printables like this, you could use the Triumphal Entry maze or wordsearch.